I know you lot are all internet gurus, and am hoping one of you can help! 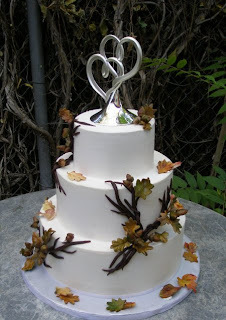 We're getting married in October and MIL2B is kindly making our wedding cake,and has asked for ideas. 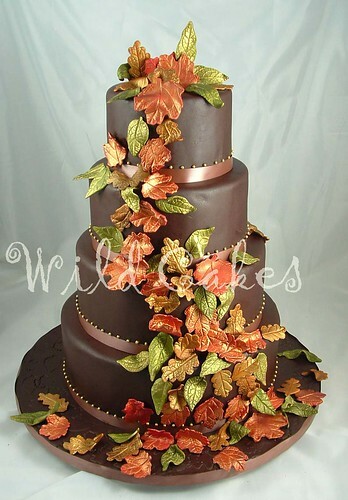 I'd like a kind of autumned themed cake with oak leaves, but can't find a picture anywhere! 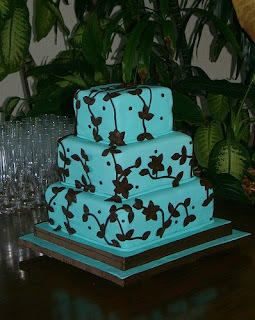 Our scheme is chocolate and brown with deep russett oranges and reds in the flowers, and I'm thinking oak colours would be nice for the cake. Any one got any pictures they could flash for me, or help me find what I'm looking for! Autumn colours and themes are lovely - I've done a couple over the years. However, you'll probably find them hard to find on many cake websites, they're not something I'd put on mine, for example, as they don't really have the wide appeal of the more standard pink/white, gold/ivory etc. I, like many cake makers, make too many cakes to be able to put them all on my webite so have to think about what will have wide appeal that I'm likely to get business from. 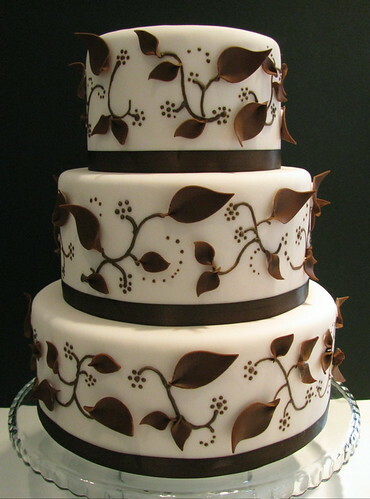 That said, I just searched for 'autumn wedding cakes' in google images and quite a few came up in shades of ivory with browns, russets, golds etc. Most of them seem to be on websites in the USA but if you just need them for inspiration to show your MIL2B then it's probably worth searching that way. There is some great ideas there,we've even seen one we really like the look off, so going to print it out and show it to MIL2B. Once again,thank you, you are all fab! !